I have a love/hate relationship with blueberries that falls directly on the low bush/high bush divide. I'll admit it, before I moved to Maine I didn't know there were different kinds, but boy is there a big difference. The low-bush or wild blueberry is a thing of beauty, small, tart and delicious. The high bush blueberry on the other hand, I feel is gritty, heavy, and lacking in flavor. In short - I am not a fan. I wish I could say the berries in the recipe came from wild blueberries we hand picked somewhere in a distant field (and if you know a good place to pick wild blueberries in Southern Maine, let me know - please!! ), but they didn't - but they are wild Maine blueberries, and those are tasty enough for me. If making buttermilk, mix milk and lemon juice and set aside until needed. Grease or line muffin cups. Combine flour, baking powder, baking soda, salt, and nutmeg in a medium mixing bowl. Whisk together butter, sugar, eggs, vanilla, lemon zest, and buttermilk in a separate mixing bowl. With a wooden spoon or spatula, stir in the flour mixture until just combined. 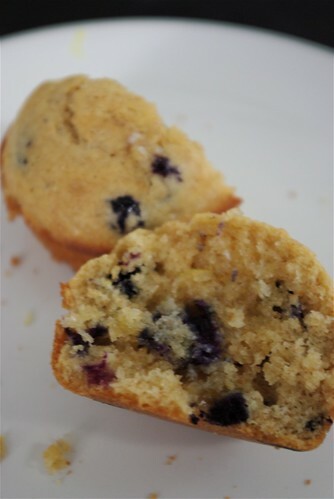 Toss blueberries in a small amount of flour until coated and fold into batter. Fill each muffin cup about three-quarters full. Bake until golden and a toothpick comes out clean (20-24 minutes). 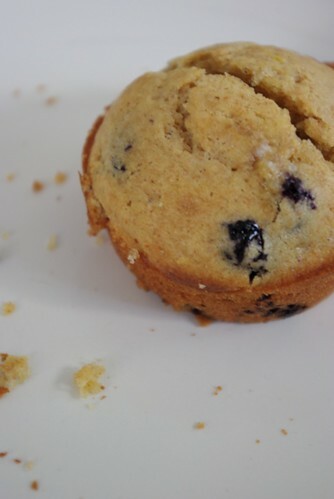 Let muffins cool in pan for 5 minutes and eat warm with butter.